Carol and Allan Phillips, Deddington, Tasmania. Tasmanian woolgrowers Allan and Carol Phillips, Deddington, were recently awarded the highest quality accolade, 1PP certification, for a bale of wool. 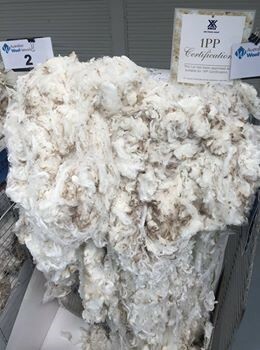 Congratulations to the owners of KINGSTON / TASMANIA on producing 2 superb bales of superfine wool on display in the AWN catalogue in Melbourne today. Peter and Rosemary McNeill of Europambela, Walcha, are the perfect example of the type of woolgrower Reda want to source their superfine Merino wool from. Renowned Victorian Saxon breeders, the Crawford family of Sierra Park, Victoria Valley, has been crowned the prestigious 2018 Wool Excellence title, awarded by Vitale Barberis Canonico. After nearly three years a project to restore the farm homestead of one of Australia's most celebrated colonial artists to its original state is almost complete. 'Patterdale' was built by the English landscape painter John Glover when he moved to Tasmania in the 1830s. Presentation from Dr Peter Morgan at the IWTO Congress in Hong Kong. 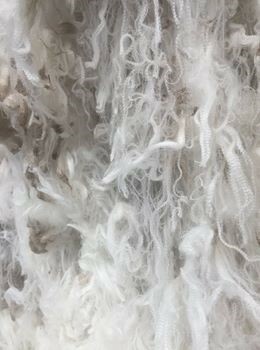 The paper presented by Dr Peter Morgan is about Observations on Recent Changes In the Profile of Australian Superfine Merino Wool, Part II. read the full article here. Superfine sheep and wool have been a dominant part of Kevin’s life for its duration. 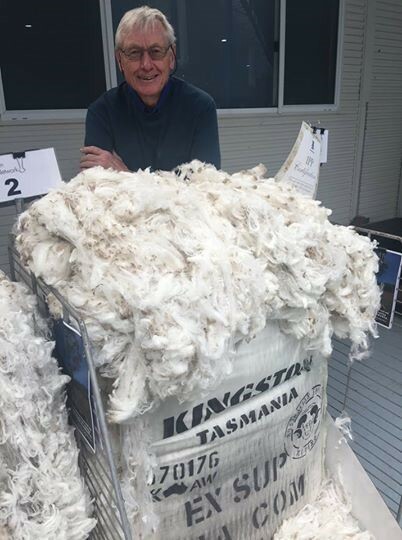 Danny Picker is a fifth generation woolgrower and principal of Hillcreston Park Superfine Merino Stud located at Bigga in the southern tablelands of NSW established in 1992 with a draught of the Hillcreston stud which was founded in 1910 by his family. For over 45 years, Danny has been involved in producing some of Australia’s highest quality 1PP accredited bales including numerous world records for prices. One hundred & five Superfine woolgrowers, sponsors & guests converged on Hamilton on the 13/14 May 2017 for the 6th Annual Reunion Dinner & Farm Tours. Members travelled both nationally and internationally to attend the event with ninety-three people attending the ASWGA reunion dinner held at the Grange Burn (Comfort Inn) at Hamilton to celebrate the presentation of prizes in the ASWGA Fleece Competition. It was especially pleasing to catch up with Lesley & Roger Prior, Merino breeders from England. Glenara have been awarded first place in the Hamilton region division at the Australian Superfine Wool Growers’ Association (ASWGA) dinner on Saturday as part of the association’s annual reunion.